All I can say is WOW what an amazing world we live in. I have had the chance to go exploring a lot this year and I am in awe of the beauty abroad and in our own backyard. I thought I better get another issue of this newsletter out so I can share some of the fun I have been having. Remember I am always looking for fun travel stories to share so if you have a great photo from your last trip or a great experience you would like to share, email me and I will share it in my next issue. 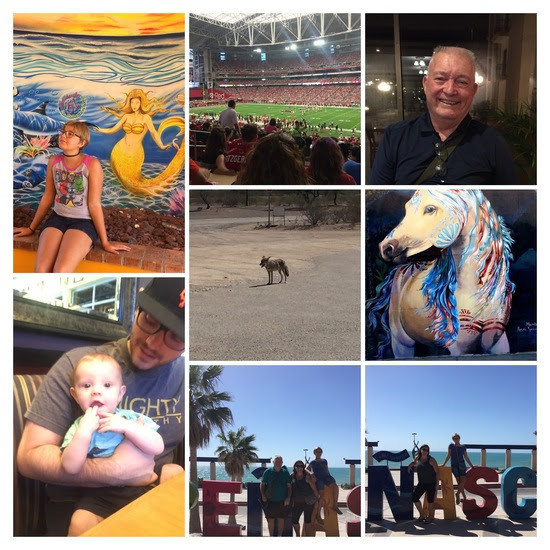 This past summer was full of local adventures in Arizona, Nevada, and California. I took a road trip with Nate to celebrate our 2nd wedding anniversary. We explored cities in Arizona like Prescott, Jerome, Sedona, Winslow, Show Low, Tucson, Tombstone, and Bisbee. 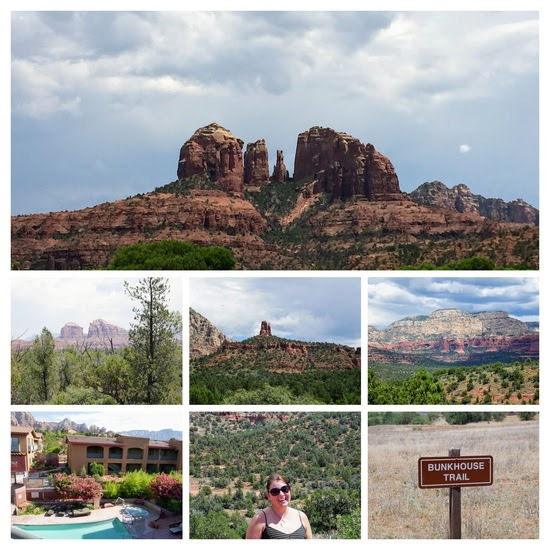 My favorite place we visited was Sedona. The red rocks are just so beautiful and the city itself is clean. I love all the hiking trails too. I also attended a FAM (Travel Agent Familiarization Trip) with Contiki Tours in August. We started in Las Vegas and went to the Grand Canyon, Sedona, Mesa, and ended in San Diego. 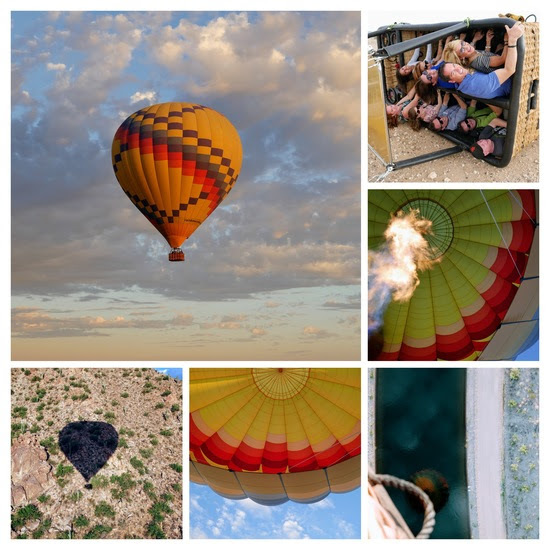 My favorite part of my trip was when I got to take a hot air balloon flight! It was my first time and I loved it!!! Contiki is the original travel company for the young, wild and free. They have escorted group trips all over the world for travelers aged 18 to 35. It is a safe way for young travelers to have freedom and see the world without causing their parents to stress. When I arrived in San Diego, I attended the ASTA Global Convention. ASTA is the American Society of Travel Agents. They are the world’s largest association of travel professionals. At the conference, I was able to learn about preventing fraud, and how to adjust my business for the changing times. Some of the highlights of the conference were having Samantha Brown as the MC, and meeting a new group of travel agent friends. After the conference, Nate and Toria met me in San Diego to celebrate my birthday on August 30th. 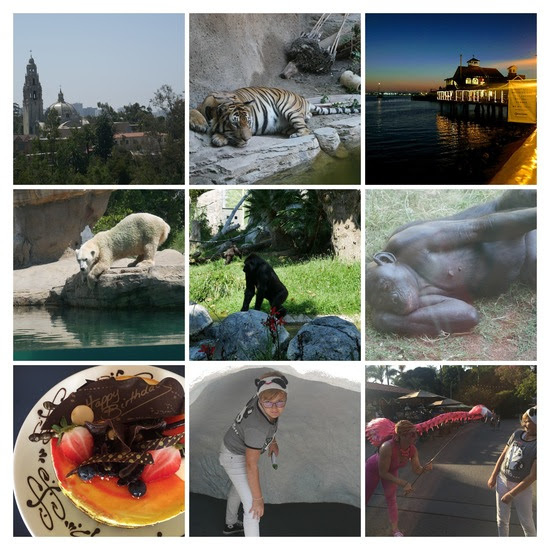 We spent my birthday at the San Diego Zoo and had a great time. That brings me to this week. My Dad came down to visit us from Oregon and we have been having a blast. We started the visit off by meeting my Dad’s Great Grand Child, Eli for the first time and then heading over to watch a Cardinals vs. 49ers Game. My Dad is a 49er Fan for life. The 49ers lost but it was still a really fun game to watch. Then we drove down to Rocky Point to show my Dad where Arizonians go to get their beach fix! It was a great time. You can follow along with my journey on Facebook. Well, that is all for now. I hope you enjoyed following me on my adventures.